Transitional societies—struggling to build democratic institutions and new political traditions—are faced with a painful dilemma. How can Government become strong and effective, building a common good that unites disparate ethnic and class groups, while simultaneously nurturing democratic social rules at the grassroots? Professor Fuller brings this issue to light in the contentious, multicultural setting of Southern Africa. Post-apartheid states, like South Africa and Namibia, are pushing hard to raise school quality, reduce family poverty, and equalize gender relations inside villages and townships. But will democratic participation blossom at the grassroots as long as strong central states—so necessary for defining the common good—push universal policies onto diverse local communities? 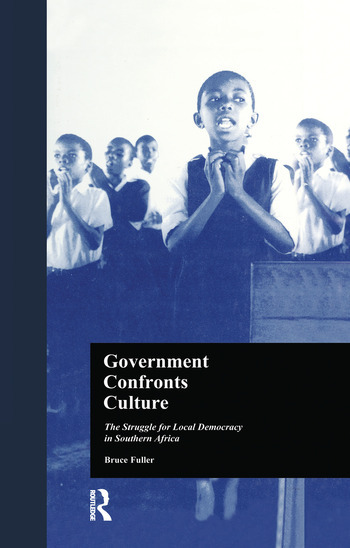 This book builds from a decade of family surveys and qualitative village studies led by Professor Fuller at Harvard University and African colleagues inside Botswana, Namibia, and South Africa. 1: Can the Modern State Work in Multicultural Societies? Part IV: Botswana: a Stable State, but a Democratic Society? 7: Can the State Democratize Gender Roles?